Entrepreneur Adam Lee and his brother couldn't get a bank loan. Then they learned that Georgia state officials had taken steps that might make it easier for their startup, Bohemian Guitars LLC, of Marietta, Ga., to raise the funds it needs. 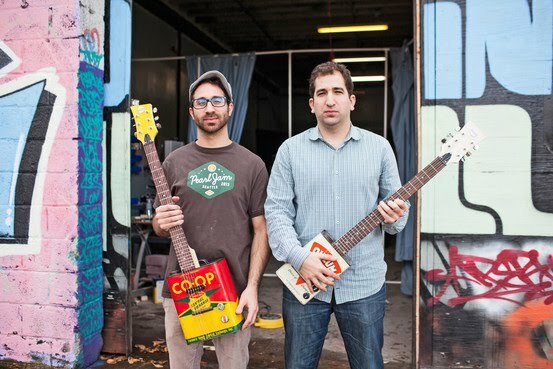 The pair, who make and sell oilcan guitars priced at $250 and up, are among a small but growing number of entrepreneurs taking part in a sort of test run for new federal rules: Officials in nearly a dozen states, including Georgia, Alabama, Kansas and Wisconsin, have enacted or proposed new laws—or tweaked existing policies—to make it possible for resident entrepreneurs to secure financing from everyday local investors, also known as "equity crowdfunding," according to the North American Securities Administrators Association. Generally, these arrangements are structured as equity deals, with investors receiving a share of the profits, says William Carleton, a Seattle-based lawyer for startups. The push to make it easier for entrepreneurs and small businesses to raise money comes as the Securities and Exchange Commission continues to mull over the finer details of what, where and how small firms can use crowdfunding as mandated by the 2012 federal law known as the Jumpstart Our Business Startups Act. The agency issued a 580-page notice in October, but hasn't said when final rules would be implemented. 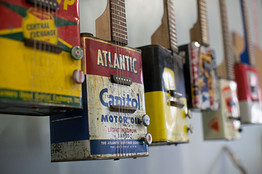 Bohemian Guitars is one of a dozen small Georgia companies that have notified the state they plan to use the Invest Georgia Exemption, adopted in December 2011. The startup has raised $126,000 using the new rules, according to Mr. Lee. That's about enough to make at least 1,000 guitars, with some leftover to put into marketing and operations. Mr. Lee, who started Bohemian Guitars with his brother Shaun, spent six weeks meeting with family, friends and Atlanta investors, laying the groundwork for the guitar offering. "It's not just throwing up a profile on a website and investors swarm at you. It's a lot of effort," he said. "I had to educate them on crowdfunding and the Invest Georgia Exemption, and had to explain why we were raising money on this unique format," he said. "After all those educating points, I had to then move into courting the investors by sharing my business plan and investor deck." For Daniel Popovic of Atlanta, efforts to take advantage of the Georgia provision proved less fruitful. He recently pulled the plug on his three-month effort to use the Georgia exemption to raise $400,000 for cMEcompete, a website that connects people with fitness activities in their communities. Lining up investors "is a full-time job," said Mr. Popovic. "My energy is best spent building up the platform and growing customers." Mr. Popovic also worried that follow-on investors would be reluctant to fund a company where "thirty or forty people" have small stakes. The mixed results highlight the challenges facing entrepreneurs trying to raise funds from the general public, rather than just wealthy or professional investors. In 2011, Kansas became the first state to allow intrastate crowdfunding, after fundraising by a local dairy and efforts to build a new, small town movie theater inadvertently ran afoul of state securities laws barring the "general solicitation" of ordinary investors. The measure was also designed "to encourage capital formation, especially in the smaller communities," said Steven Wassom, executive director in the Office of the Kansas Securities Commissioner. So far, eight companies have filed under the Invest Kansas Exemption, including two microbrewery restaurants, a cafe, a defense contractor and a dairy. But there were some kinks in Kansas' initial approach, according to Steve Piper, an entrepreneur in that state. The owner of a small grocery store, Mr. Piper said he tried to use the exemption to raise $500,000 to relocate the Valley Café, a restaurant that he owned, into a building he hoped to buy in Marquette, population roughly 640. Mr. Piper closed the establishment after securing pledges for just $200,000, less than the $300,000 minimum he needed to relocate and update the restaurant. "We tried it for about a year and came up a little short," in part because the maximum investment at the time was $1,000, said Mr. Piper, who would nevertheless recommend other local businesses try out the exemption. In June, Kansas increased the maximum an ordinary individual could invest to $5,000 from $1,000. At the local level, equity crowdfunding "is really an extended friends and family round" for small, local shops and restaurants that aren't likely to seek or receive professional angel or venture capital investments, said Zach Brandon, president of the Greater Madison Chamber of Commerce in Wisconsin, and an investor in several local retailers. The Wisconsin measure, signed into law in November, allows any state resident to invest as much as $10,000 per venture and limits total fundraising to $1 million—or $2 million if the firm raising the capital agreed to a financial audit. Alabama State Senator Arthur Orr, a Republican, in November introduced legislation drafted by his state's securities commission to allow local companies to raise up to $1 million from ordinary in-state investors in amounts of up to $5,000. "I was waiting on the SEC to finish promulgating their regulations" pertaining to the JOBS Act, he said, "but they have not seen fit to get that completed." The SEC says it won't issue final rules until sometime after a public comment period ends in February. Justin Bays and his partner, Jeremy Johns, raised roughly $100,000 from about 20 local investors for Radius Brewing Company LLC, a brew pub slated to open in January in Emporia, Kan. When the cost of the project climbed beyond what they had originally budgeted for, the pair sent postcards to members of the local community inviting them to a private meeting where they made their pitch for financing. That was something they couldn't do before the exemption because it would have been considered "general solicitation." "It helped us fill some of our financing needs, while also allowing the community to get involved,"